GRLG joined in to support the protest against the local “Thor Steinar” store in Weißensee, selling ugly nazi wear. We set up blitzag to write on a decent wall close to the store. A lot of people were tagging, some of them very talented writers. Thanks to all who joined in. Additional infos regarding the brand “Thor Steinar” on wikipedia. German language infos are available here. Let’s hope the “Thor Steinar” store (and all the others) will be history soon. More infos in german language on the website of the group “Weißensee gegen rechts”. Blitztag at the Comic Invasion festival was a whole lot of fun. The wall was great, the people too. Our next blitztag and light rider event will be this friday in weissensee and got the title “Your tag against nazi lifestyle” (“Dein Graffiti gegen rechten Lifestyle“, website in german). Join in if you hate nazi wear as much as we do. Happy new year everybody! 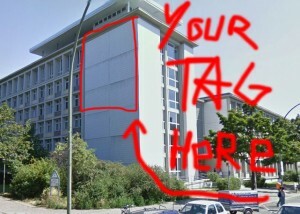 GRLG is back from the winter break and prepares for a new seasons of sun, fun, digital graffiti, comunity events and more. 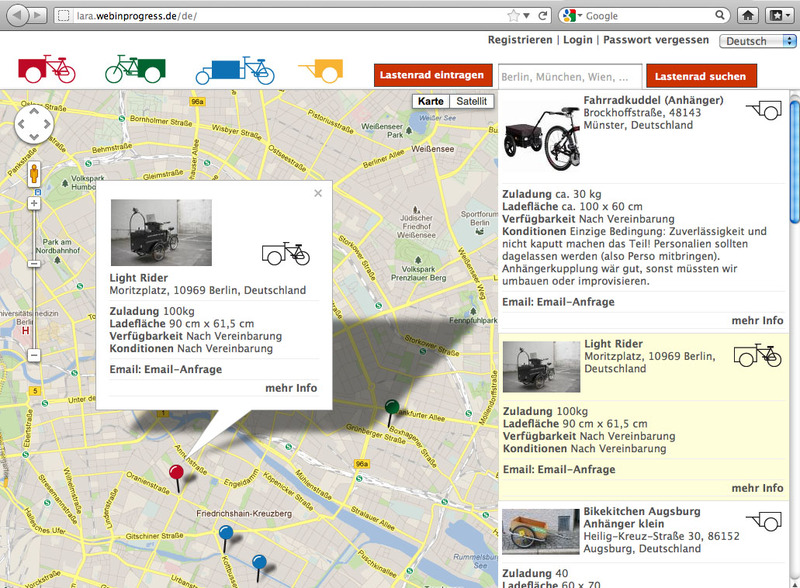 Ab dieser Woche ist unser Light Rider Teil der neuen Plattform Postfossilmobil – Velogistic. 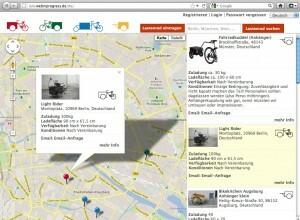 The goal of the project is to show cargo bikes and bike trailers in your neighboorhood that are available for rent. One goal of the Light Rider from day one was to make it available for the community. For Events and actions with or without the technical modules that are available (for more infos see the Light Rider page). We are happy that we can support the Velogistic team an hope that we are now one step closer to our goal, that other people can use the Light Rider for their ideas and purposes. GRL Germany is participating in Makerplatz and the People in Beta Festival this weekend. Details of our activities below. Pilz throwies are small textile objects with magnets which can be thrown onto ferro metallic surfaces in and out of reach. 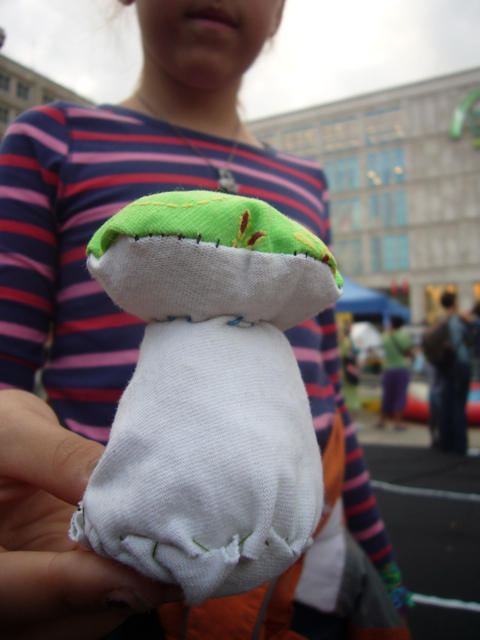 This workshop will give you the chance to learn how to sew your own mushroom-shaped yarn throwie. Plant it public space as a soft graffiti intervention! GRL Germany will bring our mobile projection unit, the Light Rider, to Makerplatz, and light up the walls with laser-based digital graffiti. Connecting the various spaces of the Makerplatz and People in Beta Festival, we’ll provide interactive, light-based options to transform these spaces, allowing the public to use the city as their canvas.